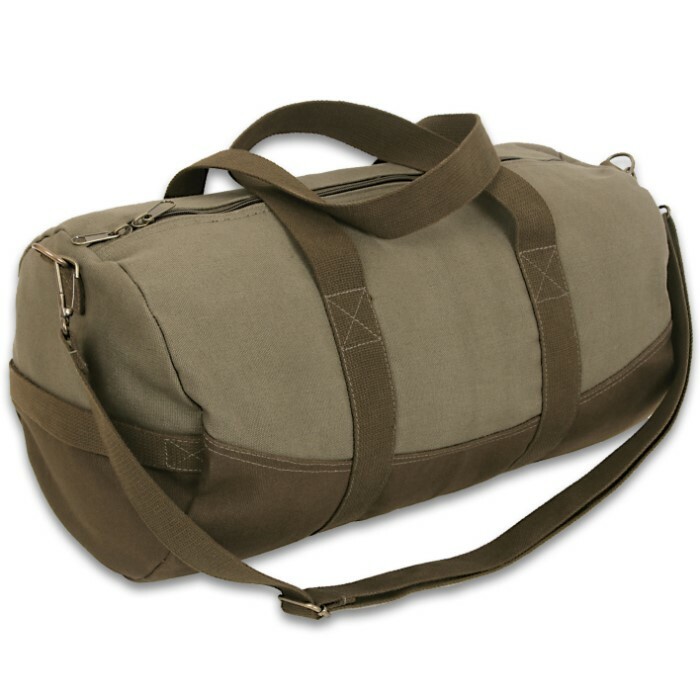 Rothco Vintage Two-Tone Canvas Duffle Bag - Heavyweight Cotton Canvas, Brass Hardware, Detachable Strap, Carry-On Handles | BUDK.com - Knives & Swords At The Lowest Prices! 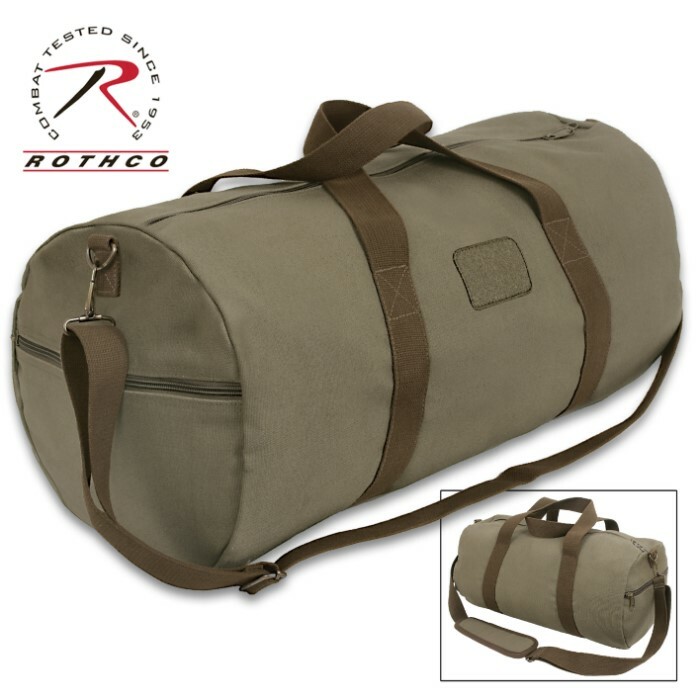 Rothco’s Vintage Two-Tone Canvas Duffle Bag features a zipper end pocket, a detachable and adjustable shoulder strap and twin carry-on handles, which makes it perfect as a travel bag or gym bag. 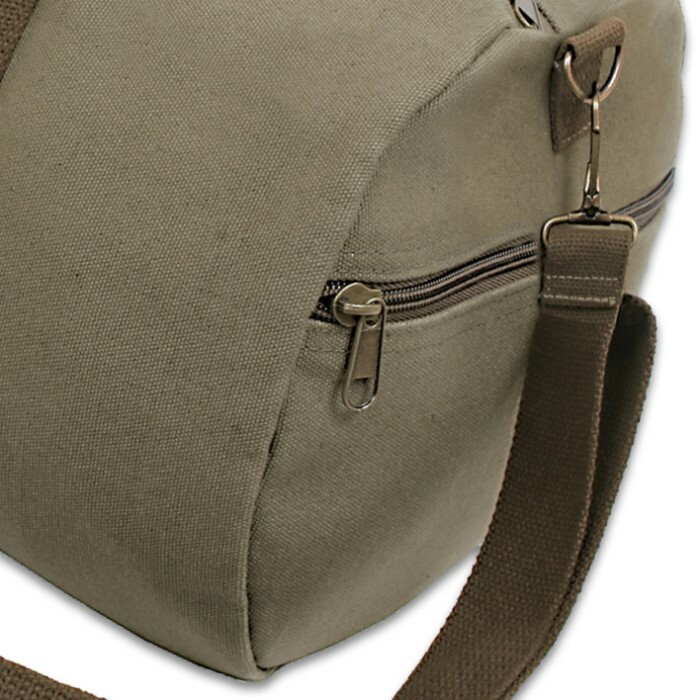 The shoulder bag is made of a durable, heavyweight cotton canvas and brass hardware along the duffle bag finishes the vintage look. This two-tone, vintage-look duffle bag is attractive and stylish, making it the perfect bag for travel or everyday use.